The Common Core presents a coordinated, common foundation essential to the education of all students. It includes three semesters of mathematics, two and one-half semesters of physics and an associated laboratory, one and one-half semesters of chemistry and an associated laboratory, a half-semester of college writing, a course in critical inquiry offered by the Department of Humanities, Social Sciences, and the Arts, one semester of biology and an associated lab, one course in computer science, and one course in engineering.  The Core Curriculum at Harvey Mudd College seeks to nurture students’ intellectual curiosity and joy of learning, provide them with foundational knowledge and skills needed for further study in STEM disciplines, and begin a critical engagement with the humanities, social sciences, and the arts. In keeping with HMC’s liberal-arts approach to STEM education, the Core engages students in thinking critically about consequential problems and complex issues, making connections across disciplinary boundaries, communicating and collaborating effectively, and understanding how their personal and professional actions impact the world around them. All Core courses must be attempted by the end of the fifth semester. Students have the option of graduating under the curriculum spelled out in any catalog (that is, fulfilling the set of Core, major, HSA, and overall credit requirements represented by any catalog) that is in effect during their continuous enrollment at the College. Students who entered the College in the Fall of 2017, for example, would be able to graduate under the 2018–2019 catalog, if they formally notify the registrar of their wish to do so. However, the student selecting a later catalog is bound by that catalog’s entire curriculum and may not cherry-pick components of the curriculum. Core courses are listed below. Course descriptions are also given in the course listings for the departments. Most Core courses are offered once annually. Most students complete the Common Core by the end of the sophomore year. First-year Core courses—BIOL023 HM , BIOL052 HM ; CHEM023A HM , CHEM023B HM , CHEM024 HM ; CSCI005 HM ; HSA 010 HM ; MATH030B HM or MATH030G HM , MATH035 HM , MATH040 HM and MATH045 HM ; PHYS023 HM , PHYS024 HM ; and WRIT001 HM —must be attempted in the first year and passed before the beginning of the junior year. MATH060 HM , MATH065 HM , PHYS050 HM , and PHYS051 HM must be attempted in the sophomore year. ENGR079 HM must be attempted by the fifth semester. The Scholarly Standing Committee tracks student progress through the Core and notifies students of Core deficiencies (e.g., courses that are dropped, withdrawn, failed, or not appropriately attempted). Students must register for all deficient Core courses each time they are offered. Sample programs for the first three semesters appear below. The instructors in the first-year program meet regularly with the Associate Dean for Academic Affairs to ensure that course material, major assignments, and examinations are coordinated throughout the year.